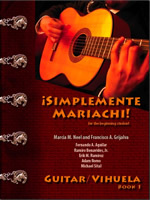 Experience authentic mariachi styles and rhythms in your general music class! 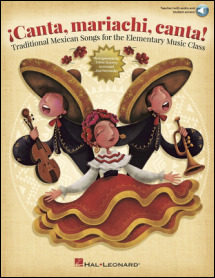 Eight traditional Mexican songs transport you and your students to a place rich with harmony and ensemble camaraderie. 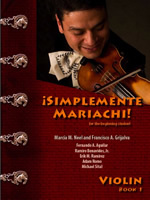 These arrangements by world-renowned mariachi composer and performer, José Hernández, work well with piano or guitar accompaniment. Add pitched Orff instruments for even more fun! The Teacher Edition offers vocal parts with Spanish lyrics, piano and guitar accompaniment, Orff parts, brief song translations and history. 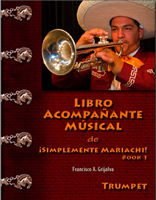 This all-in-one collection also includes digital access to authentic recordings produced by Maestro Hernández with age-appropropriate vocals and professionally-recorded accompaniment performed on traditional mariachi instruments for added authenticity! Students can model the singing and perform with the full-sounding accompaniment recordings. You will also receive digital access to PDFs of vocal and instrumental parts when you purchase the Teacher Edition. Songs include: Cielito lindo, El venadito, La golondrina, La llorona, La sandunga, Las mañanitas, Los barandales del puente, and a beautiful arrangement of Noche de paz (Silent Night) for the holidays featuring both English and Spanish lyrics. 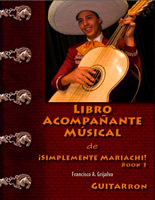 Suggested for grades 3-6. 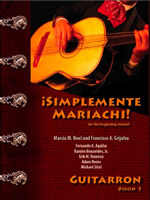 A beginning level mariachi method series, ¡Simplemente Mariachi! provides a comprehensive curriculum based upon sound pedagogy. It is designed to be used in homogeneous or heterogeneous settings and can be used for in-school programs as well as after-school or community-based programs. Printable lesson plans are provided in the Teacher Edition and students and teachers alike will have access to play-along recordings. ¡Simplemente Mariachi! 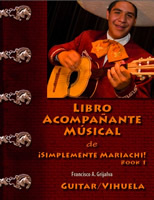 now serves as the adopted mariachi text in a variety of school districts and continues to be the most successful beginning level mariachi method series in publication. Published by Northeastern Music Publications. Available at your favorite retailer. 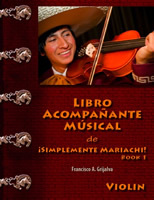 A partner book to ¡Simplemente Mariachi!, Libro Acompañante Músical provides ten (10) beginning-level mariachi songs for students to learn as they progress through the ¡Simplemente Mariachi! method series. Songs are presented once students have acquired the specific skills necessary to experience success. This collection has been made available at an affordable price -- all ten songs at only $6 per student book. 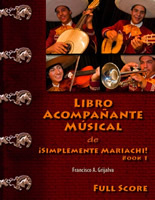 Published by Northeastern Music Publications. Available at your favorite retailer.